The future for business is bright, and balanced, if InclusIQ Institute’s founder and leader, Suzanne Doyle-Morris has anything to do with it. And she does. Because when this dynamic, forward-thinking Fife-based American says the future is now, she’s ahead of the curve in commerce. This Washington woman is ahead of the curve in commerce. With InclusIQ, Suzanne’s proposition is both simple and stunningly innovative. InclusIQ asserts that for businesses to truly succeed and have a competitive commercial edge they must build inclusive leadership and diversity of thought into their strategic planning and management hierarchies. Suzanne argues that at leadership level, and around the boardroom table, true diversity must be embraced to reflect changing societies and global business practices. When it comes to the bottom line, as Suzanne says, companies who adopt diversity of thinking and inclusivity will be better able to capitalise on opportunities driven by the rise of women and the emerging markets. Engaging InclusIQ’s clients with new thinking about the benefits of diversity and inclusive leadership comes in a multi-layered offering from this specialist leadership training consultancy and limited company. Right from the start of InclusIQ in 2013, Suzanne and her team have offered corporate consultancy, training, mentoring and coaching in inclusive leadership, work which is supported by a range of highly sophisticated e-simulations which come in the form of “serious games”. Across all of its work, InclusIQ challenges clients’ unconscious bias, and advocates a joint male and female approach to redressing gender diversity at leadership level. With an enviable client list, which includes Unilever, Tesco, Microsoft and RBS amongst many other big names, Suzanne’s inclusivity mantra is reaching the very top of the corporate tree. Before working alongside the big business boys (and girls) with InclusIQ, Suzanne had already established her intellectual and commercial credibility as an academic, the author of two books on gender politics in the workplace and with her successful Female BreadWinners company. She also knows first hand how valuable diversity of thought is, having been a minority in many of the countries she’s lived and worked in. Born in Australia, and brought up in Washington DC, Suzanne ended up in the East Neuk of Fife, via Ireland and England. When it comes to location, she’s been willing and able to take risks in the past, but now feels that Scotland really is home. It was in Scotland that Suzanne won a place on the prestigious Saltire Fellowship, an intense and immersive entrepreneurial study programme, and from there InclusIQ was developed and launched. With new business thinking and ambition, Suzanne had growth factored in from the start, but has kept true to her own vision of expanding at a rate that feels right, and is not at all reckless. She’s avoided bank loans and external investment rather than be beholden financially, and Suzanne’s not one who’s willing to remortgage her home for the sake of her business. She’s spent all of her savings to get InclusIQ off the blocks, but she’s managed growth to suit her own pace. And business is thriving under the leadership of this outstanding East Neuk entrepreneur. 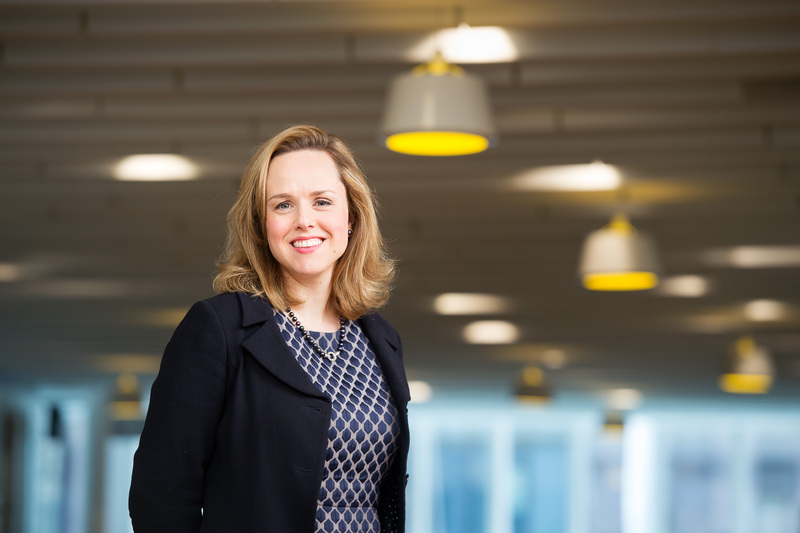 In two short years InclusIQ has expanded from Suzanne as sole trader to managing a staff of 7, and securing major new clients like William Grant & Sons, the Law Society of Scotland and the University of Edinburgh Business School in the last year alone. With the client list growing, a new book coming, and a licensed InclusIQ training syllabus in the works, Suzanne’s business future looks bright. Finding a balance (which ideally includes time for walking on the Fife Coastal Path, and some evening TV with her husband, catching up with favourite box sets like Borgen, Friday Night Lights and Scandal) might prove more tricky. But this is a woman with her eye firmly on the entrepreneurial ball. Suzanne’s skills, ambition and her commercial CV gives her a truly international perspective on global workplace evolution, and a unique ability to be one step ahead in enterprise.